Personalized Sailor's Knot Address Plaque - - wall-mount address plaque announces your passion for sailing. Holds one line or two lines of personalization. Made for you in the USA. On a two-line sign, Line 1 holds five 3" characters and optional Line 2 holds up to seventeen (17) 1.25" characters. 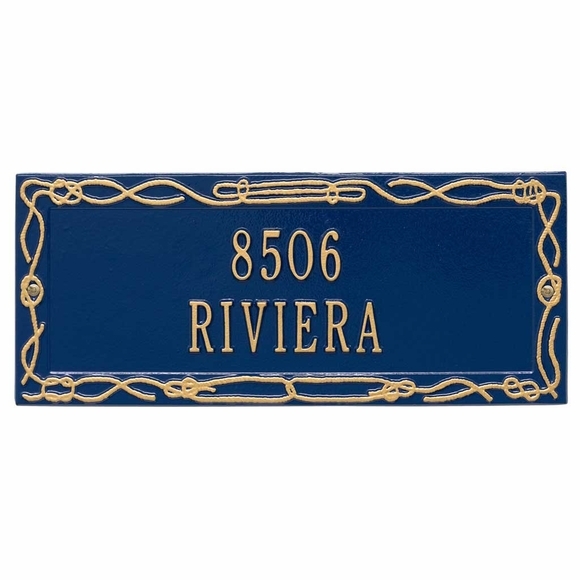 Sailor's Knot address sign holds one line or two lines of personalization.